This is three full days of everything you wanted to know about DNA. Featuring speaker, Blaine Bettinger, from the USA, with Helen Smith, Michelle Patient, Kerry Farmer, Louise Coakley and Fiona Brooker. It is going to be so hard to pick who I want to listen to as they are all wonderful, enthuastic and very knowledgeable speakers. Over the next few months I am going to showcase these six speakers. Not in Sydney? 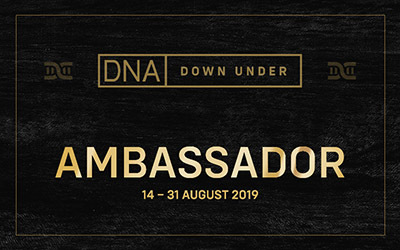 There are DNA Down Under events in Perth, Canberra, Melbourne, Brisbane and Adelaide.